Katie is the proud owner of a Lyon & Heally harp built in 1914 (nicknamed Magnolia) and originally owned by Helen Rogers. 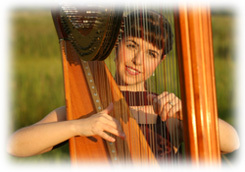 Helen was the harpist for Rodgers and Hammerstein’s original Broadway productions of South Pacific and The King and I. Along with the harp Katie also received Helen’s music stand, stool, harp crate, and a box of music – including hand written notebooks. The full concert includes harp, flute, several vocalists, and is based on the music Helen played including New Moon, Naughty Marietta, South Pacific, Oklahoma, Carousel, The King and I, Showboat, and more! 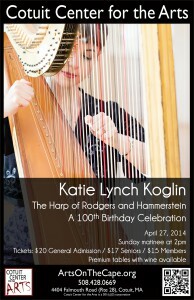 This concert premiered at Cotuit Center for the Arts on April 27, 2014 – Magnolia’s 100th birthday party! 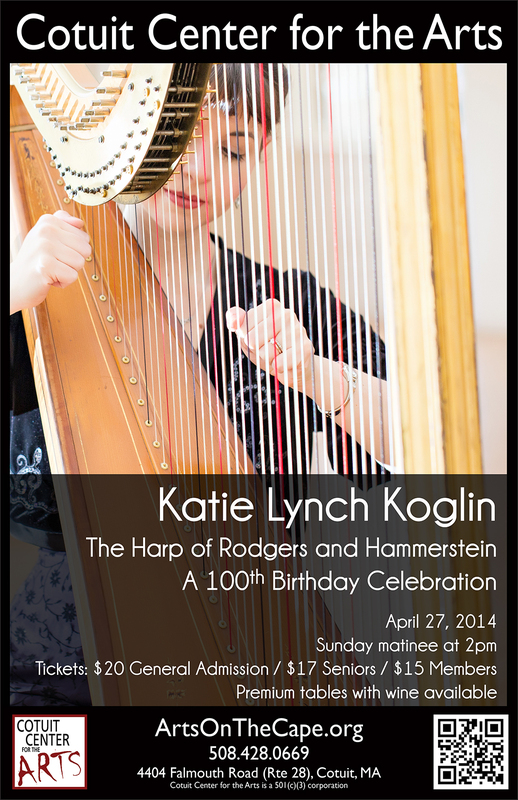 Katie has performed many Broadway based harp and voice programs including music from Rodgers and Hammerstein, the Gershwins, Andrew Lloyd Weber, Victor Herbert, and more. She can play strictly show tunes or mix in some classical as well. A classical program is always available as well as flute and harp programs. Based on their 2003 performance during the Historical Harp Symposium in Boston, MA, explore the music of Thomas Moore with harpist Katie Lynch Koglin and her husband, tenor Steven Koglin. Schools: Katie is available to work with schools to accompany a choir, add depth to a concert or pit orchestra, attend an instrument petting zoo, or provide an introduction to the harp!